1. What happened on the fourth day of creation? a) God created the sky and the clouds. b) God set the sun, moon and stars in place. 2. What was special about the way God made plants? a) They contained within themselves seeds to grow more. 3. 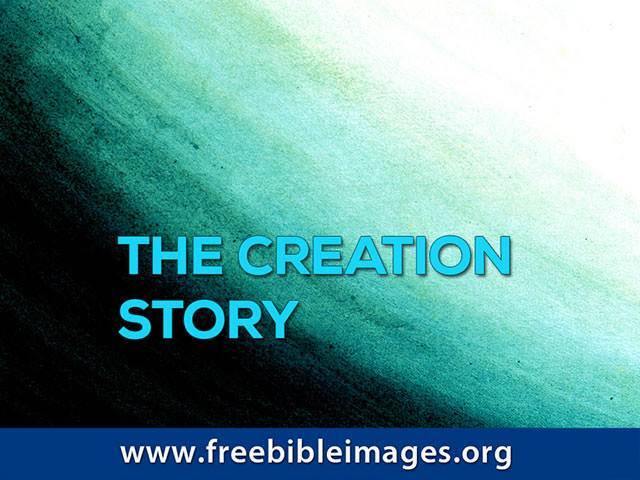 What happened on the fifth day of creation? a) God created fish and birds. b) God created land animals. 4. God made man in His own image. 5. What happened when God breathed life into man’s nostrils? b) Man became a living being. 6. Where was the garden in which Adam first worked? 7. What two special trees were in the middle of the garden? a) The Tree of Life and the Tree of Death. b) The Tree of Life and the tree giving knowledge of good and evil. 8. God made the first woman because it was not good for the man to be alone. 9. What did God use to make the woman? b) One of the man’s ribs. a) it was excellent in every way. b) there were some things that could be improved.